About 30 miles outside of London is the affluent and charming town of Maidenhead. 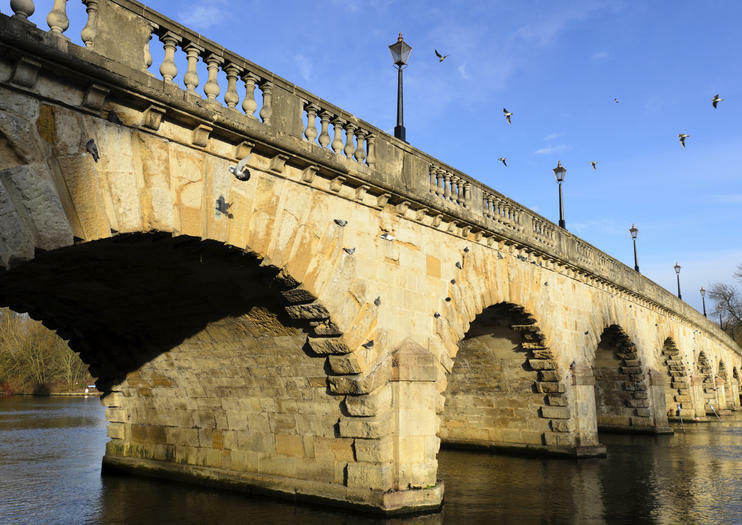 The town sits along the River Thames and is known for a historic bridge built by Isambard Kingdom Brunel and completed in 1838. It is a world record holder, and each brick is the widest and flattest of its type in the world. Many impressive houses can also be seen along the banks of the river as it flows through Maidenhead. The town center has more than 300 shops including well known brands and independent retailers. There are many restaurants, cafes, and pubs to choose from as well whether you're looking for an elaborate sit-down meal or a quick snack. The town's nightlife includes several clubs and bars from traditional to trendy, and some that offer live music. Entertainment options in Maidenhead include a bowling alley, a movie theater, and the Maidenhead Heritage Centre, which features regular exhibitions and talks about the town's history. Just a few minutes away, the Norden Farm Centre for the Arts offers a variety of programs on dance, theater, comedy, visual arts, music, and films. Maidenhead is located 30 miles west of London. The town can be reached by train from the London Paddington station.